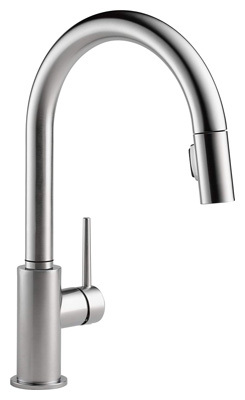 Delta Faucet is one of the best kitchen faucet brands out there. Their faucets are made from premium quality brass material and embellished with amazing finishes of all kinds from bronze and chrome to other finishes. 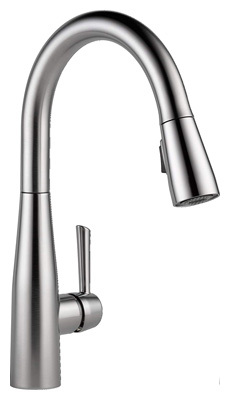 This is one of the best delta kitchen faucets on the market. 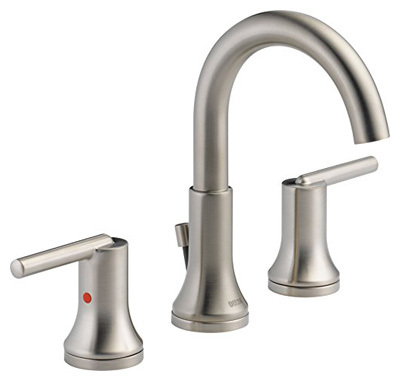 The Leland single-handle kitchen sink faucet is twice as durable as its sister models. It features a pull down sprayer, magnetic docking spray head, shield spray technology and an arctic stainless finish. This 100 percent leak-free faucet is easy to install and comes with a lifetime limited warranty. 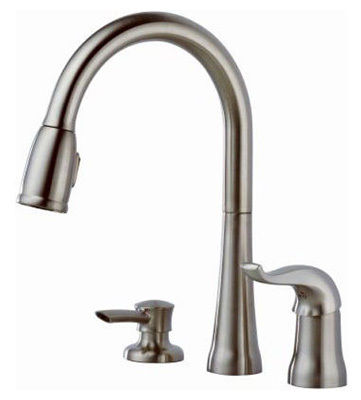 TheKate single-handle kitchen sink faucet is another long-lasting product from Delta Faucet. The stainless kitchen fixture features a pull-down sprayer, magnetic docking spray head and a soap dispenser. This leak-free faucet comes with a practical magnetic component to snap your sprayer into place so it stays docked without ever drooping over time as other faucets. Finally, you will love this product for its ease of installation, ease of cleaning and lifetime limited warranty. This Delta single-handle kitchen sink faucet model, just like its sister models, features a pull down sprayer, magnetic docking spray head and smooth arctic stainless finish. The patented DIAMOND seal technology seals all leak points, ensuring leak-free operation for the entire life of your faucet. Just like other Delta Faucet kitchen faucet models, this faucet is easy to install, easy to clean and comes with a limited lifetime warranty. 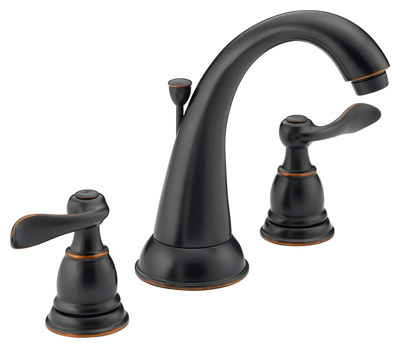 Delta Faucets Windemere brass-made faucet with a cute smooth oil rubbed bronze is a multipurpose faucet. This 2-Handle widespread faucet can be used for kitchen and bathroom faucet requirements. Besides the standard features of Delta faucets, this product also comes with metal pop-up drain assembly for smooth operation. It is easy to install, saves water consumption by at least 20% and you get a limited lifetime warranty for this product. 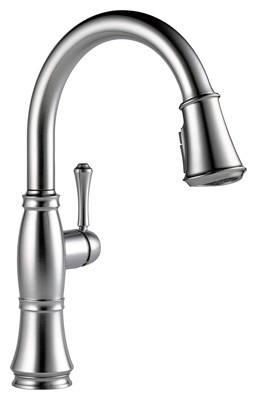 The Signature single-handle kitchen faucet is one of the best delta kitchen faucets ever rolled out to the market. 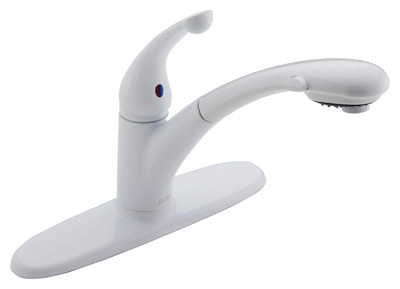 Made from a white material with a smooth white finish, this deck mounted faucet features a pull out dual sprayer, retractable hose and the manufacturer’s DIAMOND seal technology. Advantages of this product are complete flexibility, easy installation, durability and limited lifetime warranty. The Cassidy single-handle faucet by Delta Faucet is a quality kitchen fixture that is made from brass and finished with a brilliant arctic stainless steel material. This standard deck mounted faucet is designed with a powerful spray that releases a powerful stream of water, cutting through stubborn messes so you can spend less effort cleaning stuff or scrubbing your stained kitchen walls. Finally, the powerful magnetic MagnaTite docking is provided to snap your sprayer into place so it stays docked and does not droop over time as other faucets. If you are looking for power in a standard kitchen faucet, we recommend this product. 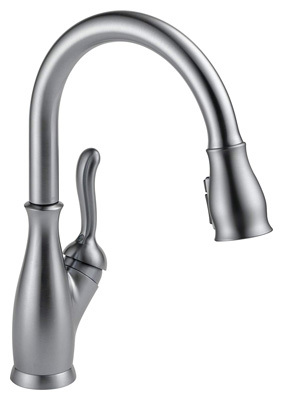 Delta Faucets Lahara 2-handle centerset multipurpose faucet is another amazing model worth checking out if you are looking for a faucet to install in your kitchen or bathroom. Made from brass and finished with Chrome, this deck mounted water fixture will not only fulfill your kitchen or bathroom faucet needs but also enhance the look of your room with its modern style. Plus, it doesn’t leak, thanks to the diamond seal technology. 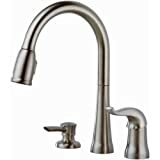 Made from brass and beautifully finished with premium arctic stainless steel, this single-handle kitchen sink faucet model from Delta Faucet, is another best seller product on Amazon. It features a pull-down sprayer with magnetic docking spray head and the manufacturer’s DIAMOND seal technology. It works great, lasts longer, and is easy to install and care for. 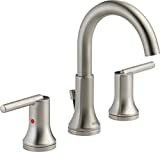 Besides the standard features that DF faucets come with, this model also includes InnoFlex PEX supply lines in the box. The Trinsic 2-handle widespread multipurpose faucet with metal drain assembly can be installed in the kitchen or bathroom. With a cute stainless finish, this fixture will give your kitchen or bathroom a fresh new look. Plus it doesn’t leak or require much effort to install or clean. 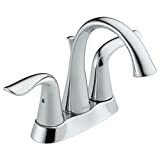 The final product on our list of 10 best Delta kitchen faucets is the Cassidy 2-handle widespread multipurpose faucet. This faucet for bathroom and kitchen spaces is made from brass and given a cute Chrome finish. Plus it comes with a practical metal pop up drain assembly for efficient and convenient operation. Finally, the faucet is praised for reducing water wastage by more than 2 percent. 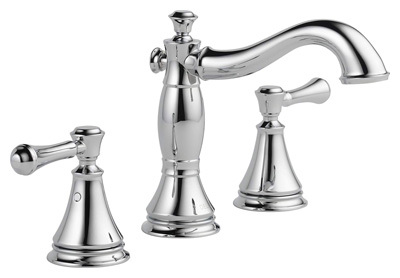 DF makes two different types of faucets; standard kitchen faucets and multipurpose ones. Standard kitchen faucets are only designed for kitchen spaces. They cannot be installed in any other space in the house apart from the kitchen. Multipurpose faucets, on the other hand, can be installed in the kitchen or bathroom. Decide what you need between a standard kitchen faucet and multipurpose faucet. Kitchen faucets are available in a variety of finishes from brilliant white and elegant blank to cute bronze and sophisticated chrome finishes. You will need to choose the type of finish you want, depending on your taste and interior design. An Ordinary Faucet or a Water-Saving One? While all Delta kitchen faucet models are leak-proof and will prevent water wastage, certain models are designed to help you further reduce your water consumption by at least 20 percent. Choose an ordinary faucet if you want to avoid leak-related water wastage. But if you want to reduce your water bills by the greatest percentage, choose a water-saving faucet. Looking for a quality faucet for your kitchen or bathroom that is backed by a lifetime warranty? 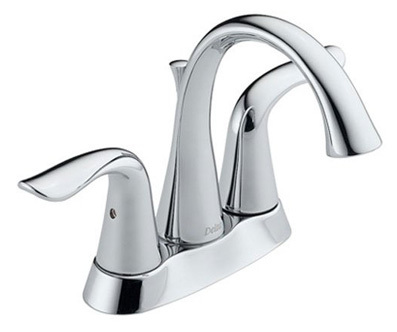 Look no further than the ten best delta kitchen faucets on this list. Each product is leak-proof, practical for your home, and most importantly, easy to install and maintain. Some models can even help reduce your water bills by over 20 percent. Sounds like the kind of faucets you want to pick from? That’s great, you can go ahead and take your pick now.